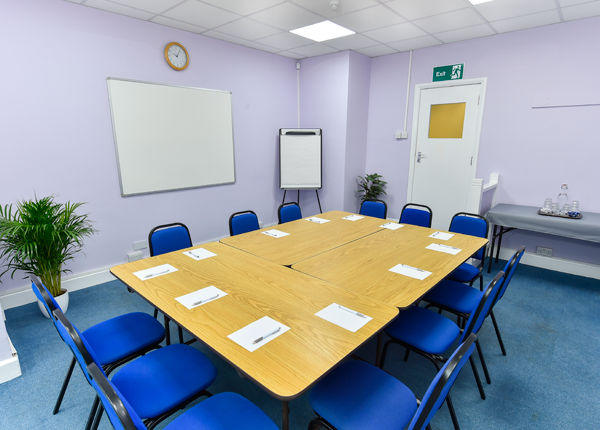 We have a selection of meeting rooms at our Kings Cross venue, to enable you to get the most from your meetings, interviews, and training events. 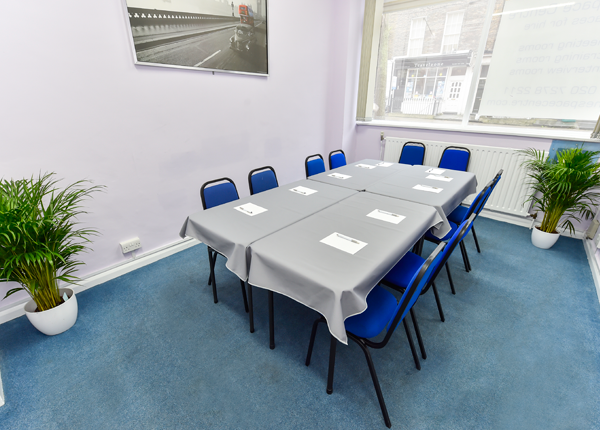 All our cheap meeting rooms are equipped with air conditioning, range from 2 to 30 people and are situated on the groundfloor, all benefiting from having natural daylight. Seats or chairs in rows facing head table, or speaker. Theatre style seating is ideal for presentations, product launches, seminars or any event with a large audience, preferably when reading/taking note is not required. Conference tables set in a U shape, with chairs around the outside are ideal for meetings or discussion groups with a speaker, presentation or other focal point. Boardroom style is a rectangular or oval table set up with chairs around all sides and ends. 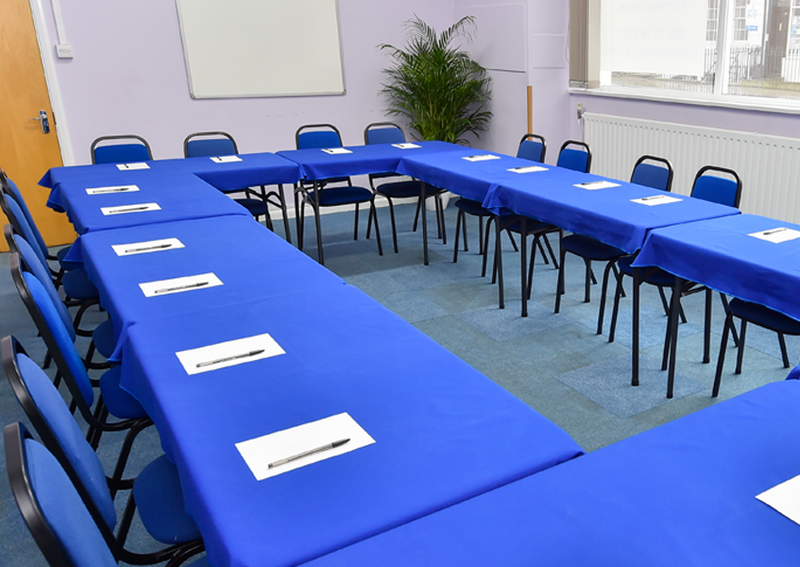 This seating plan is ideal for debate and discussion, Board of Directors meetings, committee meetings, or discussion groups, enables a good interaction between delegates. A circle of tables or chairs creates equality, encourages dialogue, and so is ideal for small groups focused on discussion or debate, where everyone can see and interact with others.